To celebrate the birthday of a dear friend in the navy, I made a batch of cookies this week. 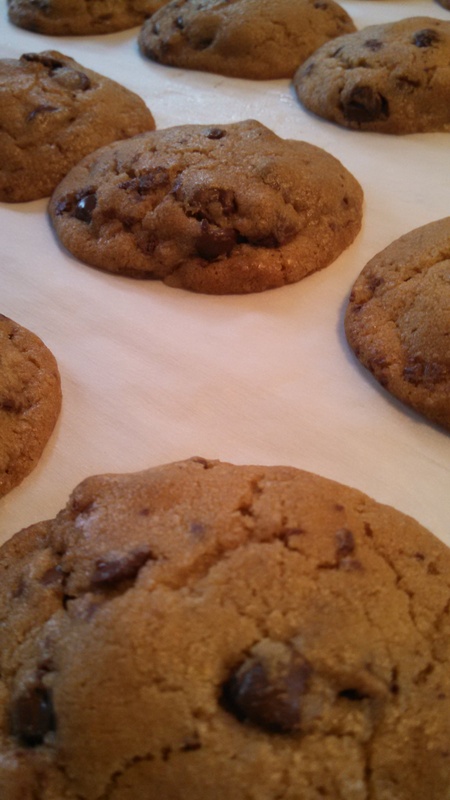 I thought I might attempt to better my chocolate chip cookie recipe (not that they needed it, my fiancé already eats six at a sitting without realizing it!) by seeing what happens if I browned the butter first. I must say, I’ve made ghee before, but browning the butter took forever. I was afraid to turn it up too high. Still, I got there eventually and was surprised to find that of the 2 cups I’d started with, only 1 1/3 cups remained! I had no idea how much I’d cook out of it, but I hadn’t expected that much. When I mixed it up, I added a bit of ghee to get the butter back up to 1 1/2 cups, as called for in the recipe. It seemed oily and soft once it was all assembled, so I put in the fridge overnight to firm up. I like to do this normally anyways, the flavors meld together more and I can keep it from spreading out too much/make sure the centers stay soft and chewy. I first made a test cookie and found that, though I had to leave it in for the full 11 minutes instead of the 9 I normally go with, it baked up just fine, didn’t spread out much at all. Waited to it to cool off as much as I could stand and found that the texture is perfect. One can taste the browned butter, but only if you know to look for it, otherwise they simply seem especially tasty. This is a bit of extra work, but definitely a keeper. I reserve the right to amend this later, but as I type this, I cannot think how to improve them any further, it’s a lovely feeling. 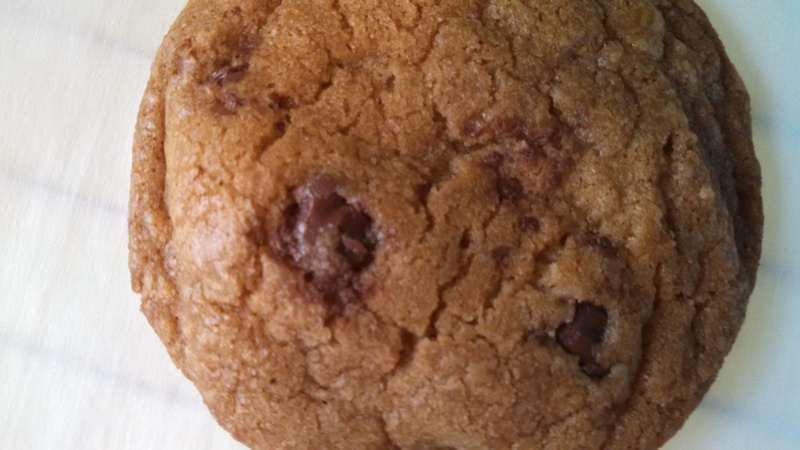 This entry was posted in Cookies and tagged Brown Butter, Chocolate Chips. Bookmark the permalink.